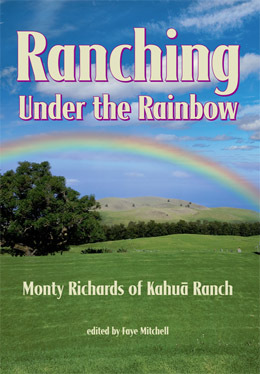 With over 40 private photos from the ranch archives as well as personal tales of Monty’s life that took him to mainland as a teen and then back to Kahuā as a young man, this book will provide any reader who loves the stories of old Hawaii, and ranching in particular, with hours of fascinating reading. Over twenty-five hours of oral history are transcribed here, all told with the well known humor and love of the Hawaiian people that is Monty’s trademark. These shirts are available in blue, pepper (dark grey), and green in sizes small to XXL. Shirts have a tapa design on the front and a blank back. 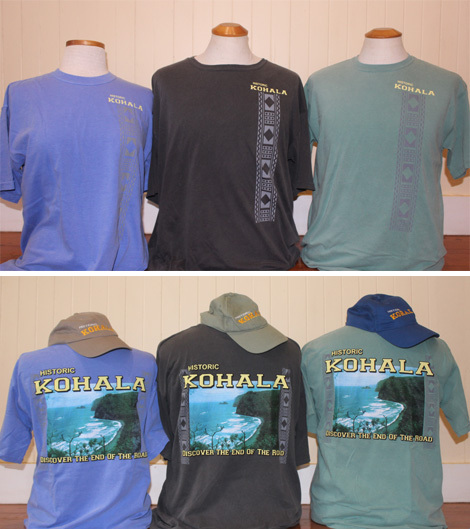 These hats say “Historic Kohala” on the front and “Discover the End of the Road” on the back. They come in tan, pink, and blue. Velcro back closure. Shipping fee applies to all domestic online purchases. For international orders, please call our office at (808) 889-5523. 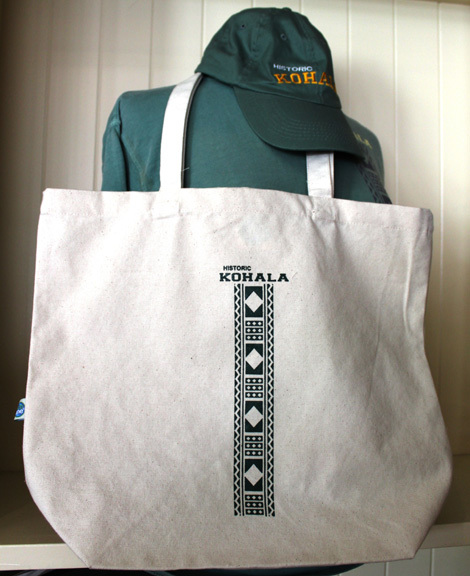 This sturdy 100% organic cotton bag features our Historic Kohala tapa design. Generously sized at 14” high x 16 ½” wide with double handles. 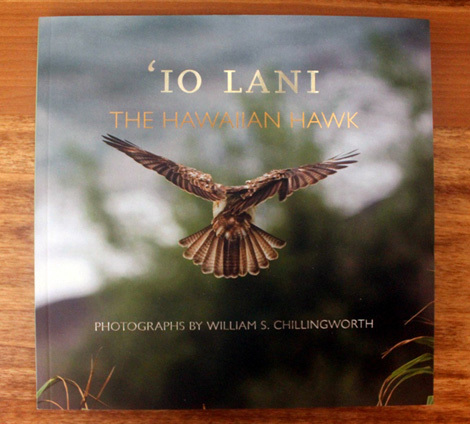 This beautiful collection of photographs by Kohala’s own Yama Chillingworth with accompanying essays by John Culliney, biologist and Nathan Napoka, Native Hawaiian Historian, tell the remarkable story of the singular bird that was once the symbol of Hawaiian royalty. Softcover, 58 pages. 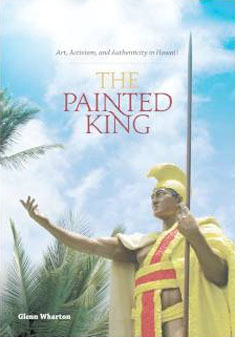 The Painted King is Wharton’s account of his efforts to conserve the Kohala Kamehameha statue, but it is also the story of his journey to understand the statue’s meaning for the residents of Kapa`au. He learns that the townspeople prefer the “more human” (painted) Kamehameha, regaling him with a parade, chants, and leis every Kamehameha Day (June 11). He meets a North Kohala volunteer who decides to paint the statue’s sash after respectfully consulting with kahuna (Hawaiian spiritual leaders) and the statue itself. A veteran of public art conservation, Wharton had never before encountered a community that had developed such a lengthy, personal relationship with a civic monument. Going against the advice of some of his peers and ignoring warnings about “going native,” Wharton decides to involve the people of Kapa`au in the conservation of their statue and soon finds himself immersed in complex political, social, and cultural considerations, including questions about representations of the Native Hawaiian past: Who should decide what is represented and how? And once a painting or sculpture exists, how should it be conserved? The Painted King examines professional authority and community involvement while providing a highly engaging and accessible look at “activist conservation” at work, wherever it may be found. Growing up in a remote valley in North Kohala on the island of Hawai’i, Kindy Sproat describes his life’s journey in his own words with a deep passion for the place he calls home, its culture, people, and a love of music that leads him to an unexpected career as an internationally revered and award winning artist. The nearly 400 songs and stories he learns as a boy and young man are only some of the treasures he takes with him to share with the world from Japan, Okinawa, to a bunker in Vietnam under attack, the foot of the Statue of Liberty and on to receive the National Heritage Fellowship. His own story provides a candid and deeply personal look at Hawai’i during the days of sugar plantations, through World War II and the changes these times brought to the Hawaiian way of life. Over 65 photos and the lyrics of 30 songs weave through this both extraordinary and beautifully simple storyteller’s story about a man with a heart even larger than his fame. 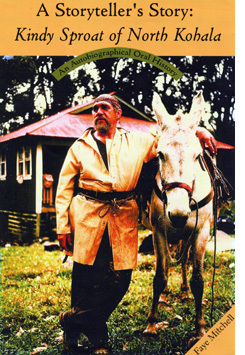 The first comprehensive history of the Big Island’s famed North Kohala district was published in November 2003. The 224-page coffee-table book, entitled Kohala ‘Aina, encompasses a 300-year history from before the reign of Kohala native King Kamehameha I through the close of the sugar plantations in the late 20th century to the current renaissance. 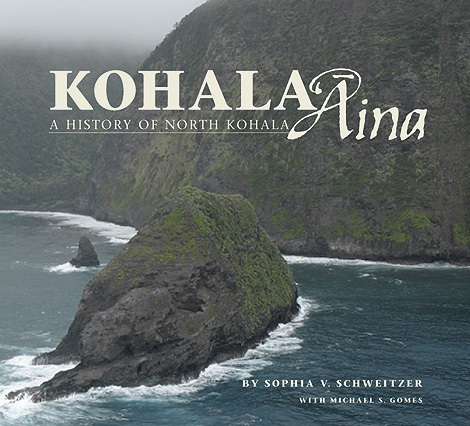 Besides chronicling the region’s long and varied history, the book makes the case that North Kohala was one of the most important and influential areas in the history of all of Hawaii. From Kamehameha’s birth and residence in the area, to the missionary movement and the innovations of the local sugar industry, North Kohala was pre-eminent. The book was written by nationally known author Sophia V. Schweitzer, a resident of Hawi, underwritten by Kohala’s largest landowner, Surety Kohala Corp. (formerly Chalon Corp.), and published by Mutual Publishing of Honolulu. 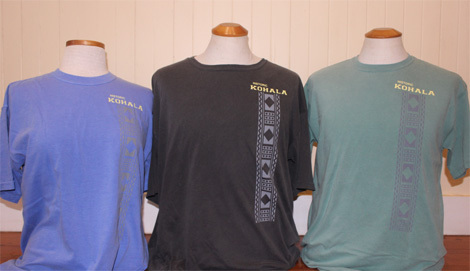 In an unprecedented publishing move, proceeds from the sale of Kohala ‘Aina will be donated to North Kohala Community Resource Center, a non-profit organization that supports and sponsors local community service projects and organizations. Shipping fee applies to all domestic online purchases. For international orders, please call our office at (808) 889-5523. 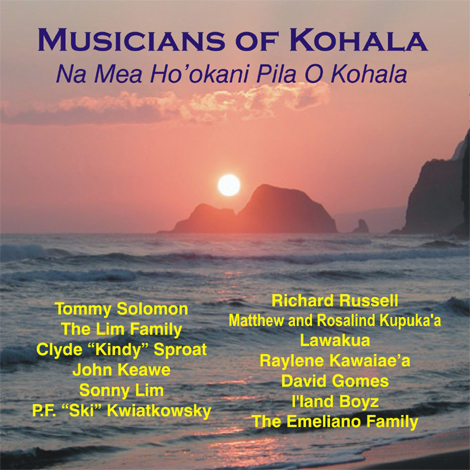 This beautiful music compilation evokes the heart and soul of Kohala as interpreted by thirteen of Kohala’s finest musicians. 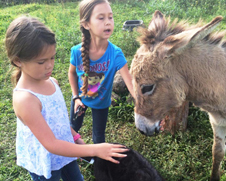 A thoughtful gift for friends and family… and a generous gift to the North Kohala Community. 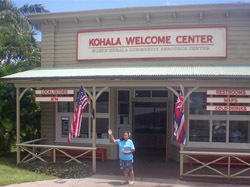 Proceeds benefit the North Kohala Community Resource Center, which sponsors many important community projects.